How Do I Meet Adoptable Rabbits? Thank you for considering adoption! There are several rescue groups and shelters with rabbits available for adoption in our area. You can often visit the rabbits at shelters during their normal operating hours. On busy weekend days, you may want to make an appointment. 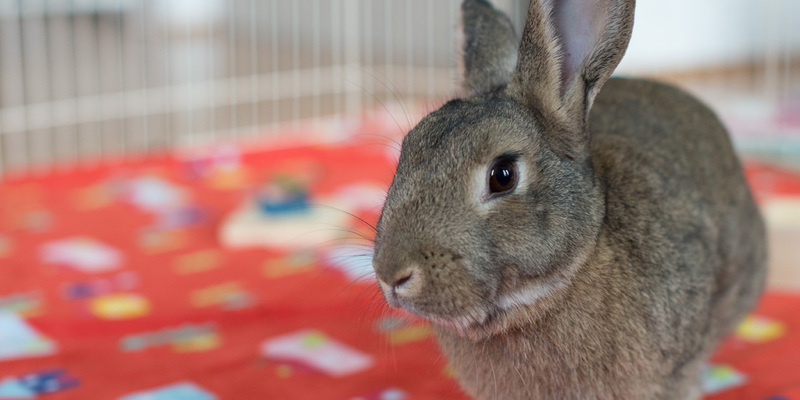 Rescue groups, including Triangle Rabbits, are often comprised of a network of foster homes. You can visit these bunnies by appointment, or at a local adoption event. Please remember that most rescues are run entirely by volunteers, who also have families and jobs, and so it may be a few days before a meet and greet appointment can be scheduled. Dance with the Bunnies is no longer taking rabbits, but they will be glad to advise you. Cape Fear HRS is a rabbit sanctuary and education branch of the House Rabbit Society. They do not have rabbits for adoption, but are happy to advise you and help with adoptions from local shelters. Smokey's Bunny Haven is a sanctuary for special needs rabbits. They also have rabbits for adoption. CWR specializes in birds, but they also help domestic rabbits. AniMall hosts meet and greets and adoption events for rescues across the Triangle, including Triangle Rabbits. Many of these shelters have rabbits for adoption. They are not always listed on the shelter website, so be sure to call them and ask. 1081 Martin Luther King Jr. Blvd/Historic Airport Rd.